"Fearless and irrepressible, Wendy Taylor Carlisle's The Mercy of Traffic ... blazes through falsehood, faces up to trauma, lust, and loss, and shows us how to celebrate the world's precarious beauty. " 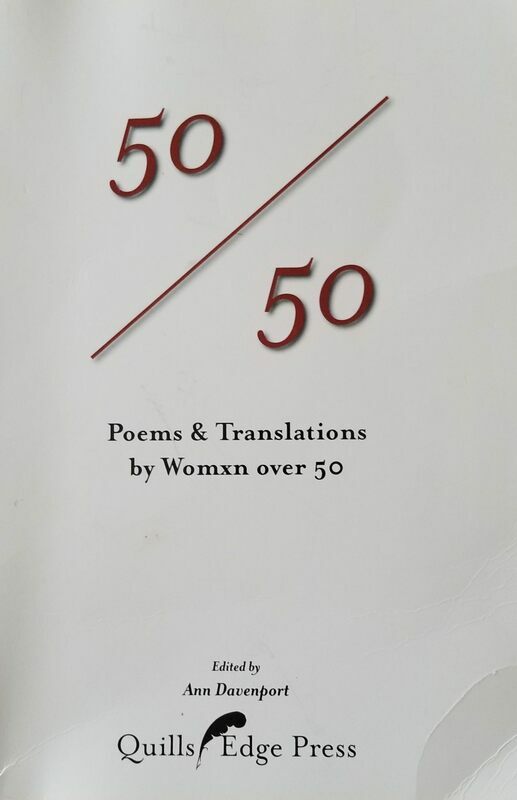 Immerse yourself in an intersectional collection of poetry and translation, featuring the indispensable work of fifty women over 50. Prepare for your world to split open. 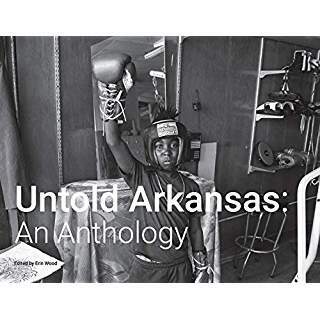 In this wide-ranging, multigenre compilation, fourteen poets, writers, artists, and photographers explore the richness and complication that infuses Arkansas with its character. 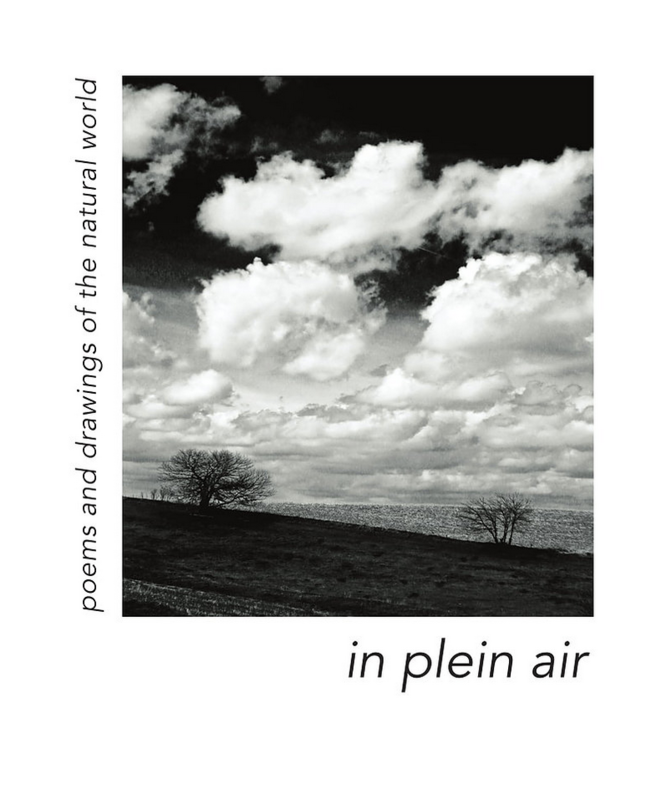 A gorgeous, limited edition collection of 52 poems in response to the natural world. Includes 22 graphite illustrations hand-drawn expressly for this anthology. A new chapbook of political poetry by Wendy Taylor Carlisle. 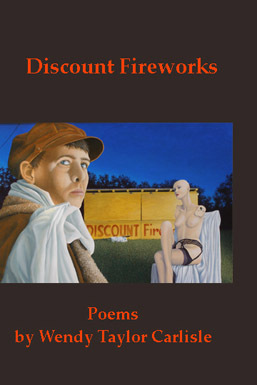 "Carlisle never lets her verse fall into easy, predictable patterns; her appetitive intelligence won't allow that; rather, she's clearly having a very good time..."
With startling elegance and grit, the poems in Discount Fireworks skewer our follies and triumphs and the everydays in between. ﻿Click here for a full description or to purchase Discount Fireworks. 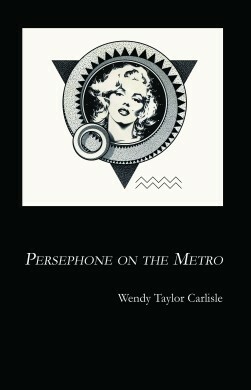 The poems of Wendy Taylor Carlisle are vibrant, original, intelligent, tough, funny, and sharp as a first time blade. 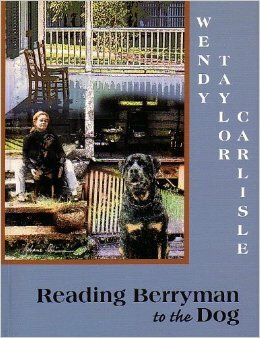 ﻿Click here for a full description or to purchase ​Reading Berryman to the Dog. "Beginning with a line from Desnos"
Everyday life was water: the lagoon, its angelfish and Sergeant Majors, the harbor where the plane landed, the sea that roistered against my thigh, the river that licked my ear.There was clear water and bath water and seawater and river water and the evening cocktail. Let’s have something to drinkorsomething with fish in it." Before the rain, I couldn't imagine the rain. It is that way with me. Click here for complete poem. The laughter mechanic's arrival is routine. He rents an office, puts ads in the Pennysaver and arranges his tools —funny car, one liner, banana peel. He waits. Solemn clients show up. The redhead is a fool for love.